Do you care for a child with Down syndrome? Please tell us about your experiences with caregiving. 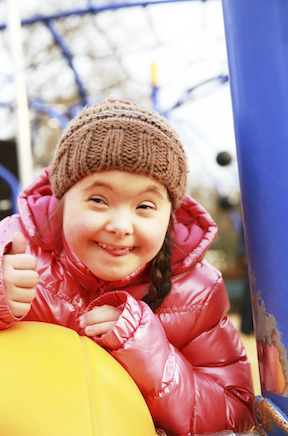 In order for children with Down syndrome to thrive, caregivers also need support. To find out what support is needed we are creating a new measure that will help society understand the impact of providing care for a child with Down syndrome on the lives of caregivers. We want to learn about your experiences with caring for a child with Down syndrome age younger than 18 years by responding to questions about both the challenges and benefits of caregiving. With this information, communities can provide better support for caregivers and find out what works well. We need volunteers to complete one or two surveys. The first survey will take about 30 minutes to finish. You may be invited to complete a second survey that will take about 5-10 minutes to finish. You can take the survey on the computer or choose to respond on paper. People who live anywhere in the world are welcome to participate. Eligible participants will receive up to $30 for completing the study. Unfortunately we are unable to send payments outside the United States. The principal investigator of this study is Mark P. Jensen, PhD of the University of Washington, Department of Rehabilitation Medicine. If you would like more information, you can also contact a project coordinator at: 1-844-847-7892 (toll free); 1-206-221-1428 (if calling from outside the USA); or email.